Market trader, Prathamesh Godbole, shares his trading strategies with Moneycontrol's Shishir Asthana. Albert Einstein often said: If you can’t explain it simply, you don’t understand it well enough. An equivalent of this quote in the financial world is by the legendary fund manager Peter Lynch who said, "the simpler it is, the better I like it". His portfolio of stocks reflected this philosophy. Our trader this week also follows this principle and manages to take out money consistently from the market with one of the simplest strategies we have come across so far. A post-graduate from New York University (NYU) Prathamesh Godbole has all the resources to come out with a complex strategy. He has worked in a trading firm in the US, has a post-graduation degree that taught him quants, has headed an algo-trading desk in India, before taking the plunge into becoming a fulltime trader. After investing over 1,000 hours of work on intraday data of over 10 years for 500 stocks, Prathamesh found a simple strategy that best suited his personality. 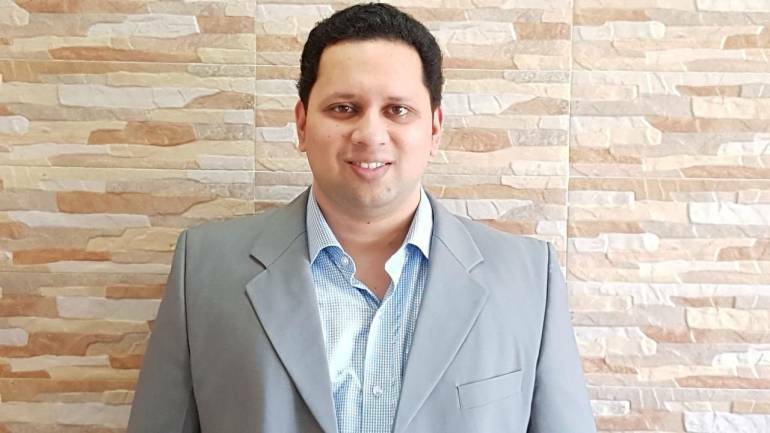 A positive outcome of his search for a strategy was the creation of a website www.tradestream.in which helps traders scan through various readymade queries and helps them create one of their own. In an interview with Moneycontrol’s Shishir Asthana, Prathamesh explains his journey of becoming a successful trader. Q: Can you walk us through your journey from NYU Indian markets. A: My journey to the markets began much before my post-graduation from NYU. It started towards the end of 2008 when I was in my third year of engineering. Those were the days when the Satyam scam and the financial meltdown were hogging the headlines. Most of the news then was about the atrocious amount of money people were losing every day. It’s those mind-boggling numbers that got me interested in the markets. I started reading about the markets and companies to get an idea of what was going around. One of the market-related magazines used to carry financial information of companies in a tabular format. In January of 2009, I noticed that the price to earnings ratio of many companies was in the lower single digit, though my reading showed that the average level should be mid to lower double-digit figure. I did some more research and then asked for my father of Rs 1 lakh to invest in the markets. He asked me if I knew anything about the markets, I told him nothing much, but thankfully he lent with Rs 1 lakh with a promise of returning it when I start working. On March 12th, 2009 I made my first purchase. This was very close to the bottom of the market. The buying trigger for me was an interview with Mark Mobius of Templeton on the TV who said that the worst is over. I felt that being an international expert knew more about the markets than most. I bought ten stocks of around Rs 10,000 each. Thankfully, in those days I did not see the prices on a daily basis as my education would take up a lot of my time. Within six months most of the stocks I had bought doubled or tripled. I felt that trading was easy. But it took me a while to realize that I was plain lucky. I then stayed out of the markets for some time. I took up a job with Oracle but the fascination for the markets was there. I took the CFA course and applied for New York University for my post-graduation. Post my masters I took up a job in a proprietary trading firm in New York. This was a big exposure to me where though I was trading the US markets, we had to look at markets from across the globe and follow international developments as everything had an impact on markets there. In the firm, we had to go through a training program where various tools of trading were taught. The trades here were mainly intra-day in nature. However, for me, there were Visa issues which could not be managed resulting in me coming back to India. In India, I was worked with a broker and was heading the algo (algorithm trading) desk. But after a few years I decided to trade on my own, so here I am. Q: Your initiation in markets had a pinch of fundamentals behind it but you moved to technical analysis, how and when was the transition? A: The transition was almost immediate. I did not take to fundamentals, further, my post-graduation in financial engineering in NYU had more to do with the math and computation. It was closer to quants that fundamentals. So after coming back to India, I did work on quants during my stint in algo trading. But when I decided to trade on my own it was mainly technical analysis. Quant trading for individuals is slightly difficult. One needs to have the support system to trade efficiently in quants, which includes a big capital as well as technical support. Q: Tell us about your initial days as an independent trader. A: For the first six months I tried every strategy I knew. Thankfully I did not lose much. After the first six months, I took a break to check what I was doing wrong. The first thing I noticed was I had the position sizing wrong. I traded the same quantity irrespective of the risk involved. I also traded everything from a breakout to a mean reversal trade. I then sat down and back-tested every strategy on 10 years of intraday data in Nifty 500 stocks. One revelation was that all strategies do not work at all times and different strategies work for different stocks. The idea behind it was to validate the strategies and come out with the most efficient one. I needed the statistical validation before I started again. To me, though I trade using charts, I need to objectify the process. I cannot leave it to subjectivity like some chart-based traders do. The signals have to be clear with well-defined rules which can be back-tested. And after putting in nearly 1,000 hours of effort I came out with a process that I was satisfied with. Q: How closely do you follow your strategy, are the theoretical results aligned with actual ones? A: Currently I am able to get results which are 80 percent of what they should be. It actually changes on a month to month basis. But I am ok with the results, we are after all humans and prone to error and emotions. I, in fact in my trading now, have taken into account two wrong trades in my calculations. So when they do come I do not feel bad about it. The idea is not to lose too much when they do appear. I have observed from my track record earlier that if I get several losing trades I tend to take a bigger position. So now I have a checklist approach of taking a trade. If one goes through 4-5 losing trades the mind would come up with all sorts of excuses not to take the next trade. For me, the checklist helps in pressing the trigger on the next trade. Q: What has been the outcome of the studies, how do you trade? A: The outcome is a very simple process. I trade on two strategies. One is an intraday strategy using a one hour chart and the second one is a slightly longer timeframe strategy where I use the four-hour candle to trade. In the second strategy, I only use the Nifty futures to trade while in the first one I pick up liquid stocks from Nifty 50. Both the strategies are more or less the same in principle. In the intraday strategy, I look for a big candle on the first hour, whose closing should ideally be above the previous day’s range. I take the trade above this candle with a 1:3 risk reward ratio. If the first candle is too big I wait for the second candle to form that offers a better risk-reward to trade. Like there was a trade I recently took where the first bar would have meant that the stop loss was nearly 2.5 percent away. I waited for the next bar which reduced the risk to 0.3 percent. Normally this strategy does not throw up a trade every day, generally, it is around 2-3 trades in a week. Every month there are 4-5 stocks that have a strong trend. But I have seen that at times I get in at the start of the trade and since I have classified these trades as intraday I sell them only to see them trending for a number of days. So presently, I have added a variation where if the stock is looking strong I let go of my futures position but buy call options instead. This has been very rewarding. Take the case of Dr Reddy’s which I traded in September series of 2017, the stock closed very strong just ahead of the series expiry. A call option just 2 percent away was available at Rs 3. I bought as much as I could. The stock opened the next day with a gap of 2 percent and moved higher and the call option shot from Rs 3 to Rs 40. But these trades are rare, yet it still does no harm in taking these carry-forward trades especially if the closing is strong. One needs to be patient and wait to take such trades. Even if you get one such trade in a quarter it's very rewarding. As for the second strategy I trade on the four-hour candle on the Nifty. Here I have two other criteria that need to be satisfied. I use a 40-day moving average and the Bollinger Bands with one standard deviation. Normally Bollinger Bands by default have two standard deviations setting, I have compacted it to 1. I wait for a stock which is above the 40-day moving average to come out of the upper Bollinger band before taking a position. Here the stock has to follow the Dow Theory of being in an uptrend where it should have higher lows and higher highs in place. The normal strategy of those who use the Bollinger Band is to use it as a mean reversion strategy, which is selling short if the price goes above the higher band. I use Bollinger Bands as a validation of the trend. One can use any number of indicators to look for an entry point, but essentially they are all trying to capture a trend. All these indicators take the same input – that is the price. People get too fascinated with the indicators and miss out on the big picture. There are some filters I use here. If there is a gap up, I wait for one more bar. If the candle reverses to fill the gap I would have avoided a bad trade, if it does not I take the trade above the next bar. The stop loss in case of a trade which has not gapped up will be slightly below the breakout bar. In case of a gap up the stop loss remains the same – below the breakout bar, but I reduce the size of the trade. I trail the trade with a stop loss below the previous bar low. In case the trade has gone a good distance from my entry point I give it more room to run by moving my stop loss to the moving average. For the intraday trades, the risk-reward of my trades have been 1:3 with a nearly 60 percent success rate. In the case of Nifty with a four-hour chart, the risk-reward is lesser at 1:1.8 but the success rate is higher at 80 percent. Q: You have created a website www.tradestream.in which gives out results of commonly used queries and allows you to build your own queries. What was the provocation for building a website? A: I actually did it for myself to help me in selecting my trades. The purpose was to have an easy way of scanning through a universe of Nifty 500 stocks on various parameters. Softwares available in the market do not allow that kind of flexibility of working with various queries on a number of stocks and at different timeframes. The site also helps in getting a broader view of the market. Like a few days back the market was near its high but we could see that nearly 500 stocks on the NSE 1,500 stocks touching or close to their lows. This incidentally was the bottom from where the market bounced back. Another thing that I have noted using these queries is it gives a good sectoral overview. We saw in late 2017 IT and FMCG sector stocks making 52-week highs. Generally, I do not know why, but if a sector starts doing well early in the year-end the year strong. The same is valid on the downside. In short, it helps me in my reading of the market. The website also has other tools for a trader that can be handy for a trader. Q: If you had a time machine what would you have done differently to shorten your learning curve? A: I would have automated my process much earlier. I would not have experimented with various strategies using real money. I would have also traded smaller. We have just started training new traders and one of the thing that we say is that you have to own your strategy, one can only teach strategies but owning it by discovering it yourself makes you own it. That gives you the confidence of taking the next trade rather than doubting it when using other’s strategy.